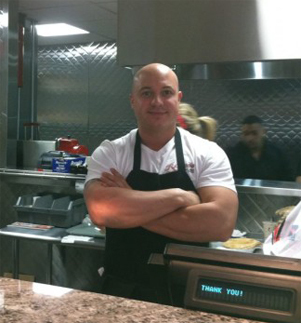 Rizzo’s owner George Rozopoulas opened his first store in Peabody in 2006. Now there are 4 Rizzo’s locations – Peabody, Salem, Lowell and Wilmington. This success is result of serving great tasting, high quality food and providing excellent service. At Rizzo’s we strive to be the best. We make everything fresh, in-house every day including our pizza dough, sauces and cheese blend. We also serve the freshest meat and produce and we marinate our own meats. Rizzo’s serves the best roast beef sandwiches and also delicious pizza, subs, salads, calzones and much more. Stop by and experience our friendly service. Call ahead or Order Online for takeout or delivery.